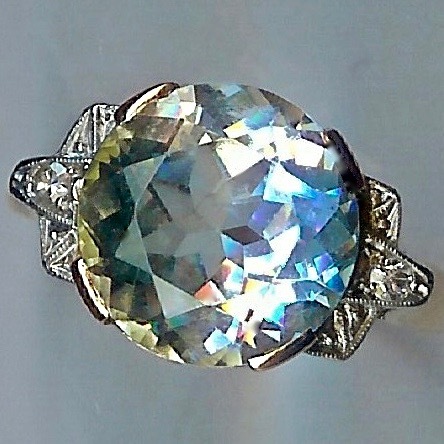 Truly Remarkable Aquamarine & Diamond Vintage Ring [SH8253] - £1,250.00 : loveVintageDiamonds.com, Your Vintage Diamond Dreams Come True! 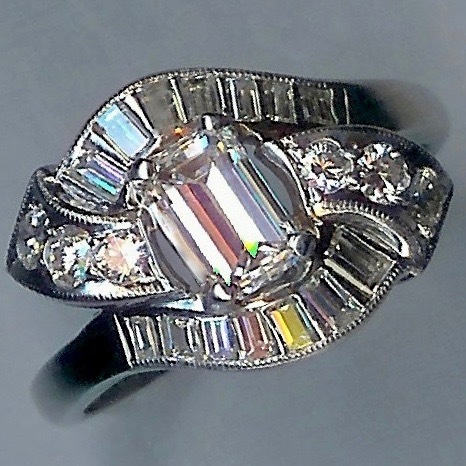 A Truly Remarkable Aquamarine & Diamond Ring. c.1940. 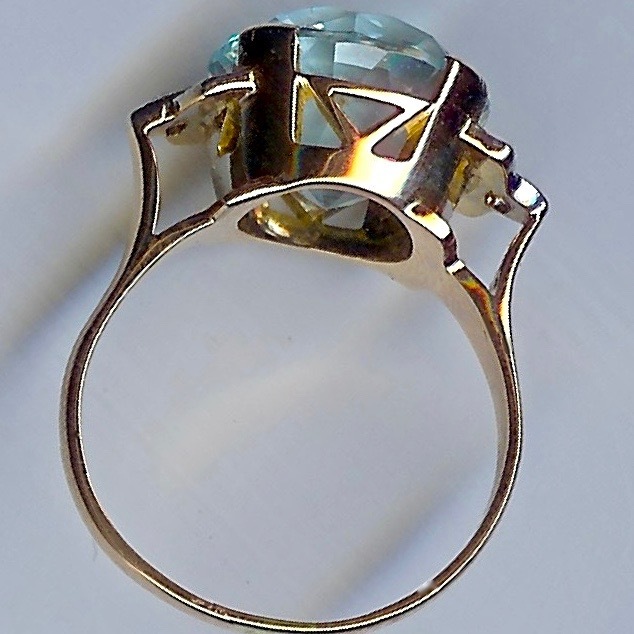 A very beautiful aquamarine is the showpiece in this vintage ring. The round-cut stone's diameter is approx. 15.5mms. 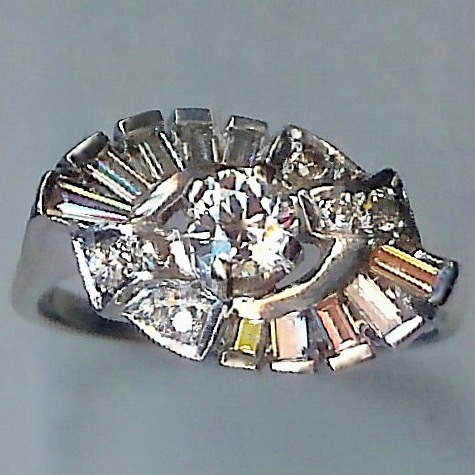 There are two eight-cut diamonds, one set into each raised shoulder, which are faced in white and diamond-cut. 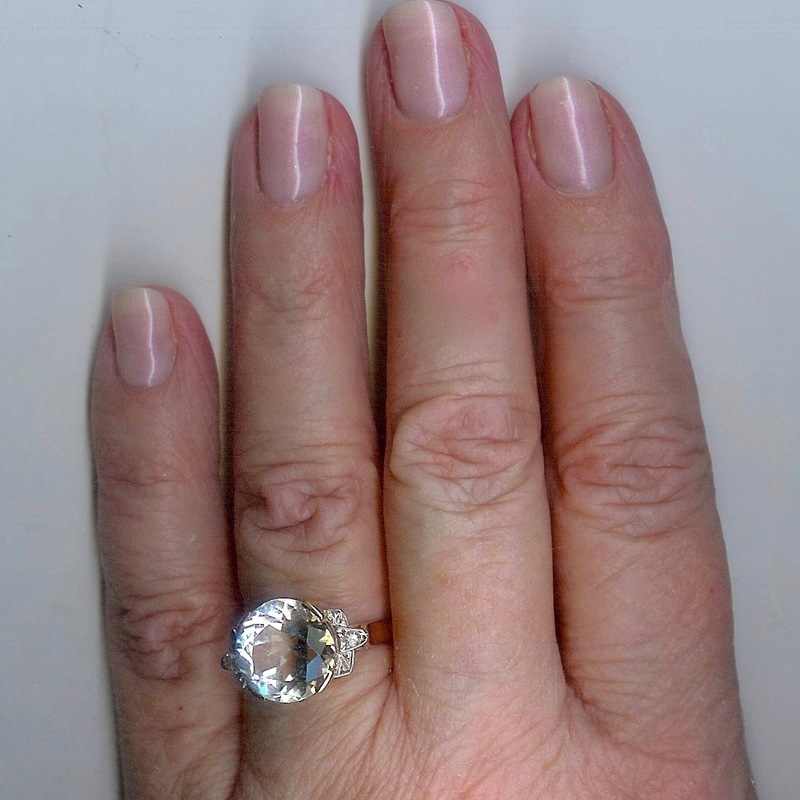 The mount itself is rose-colour, unmarked, and tests as 18ct rose gold, with the shoulders' facing testing as platinum. STONES: Aquamarine, round, approx. 15.5mms diameter. 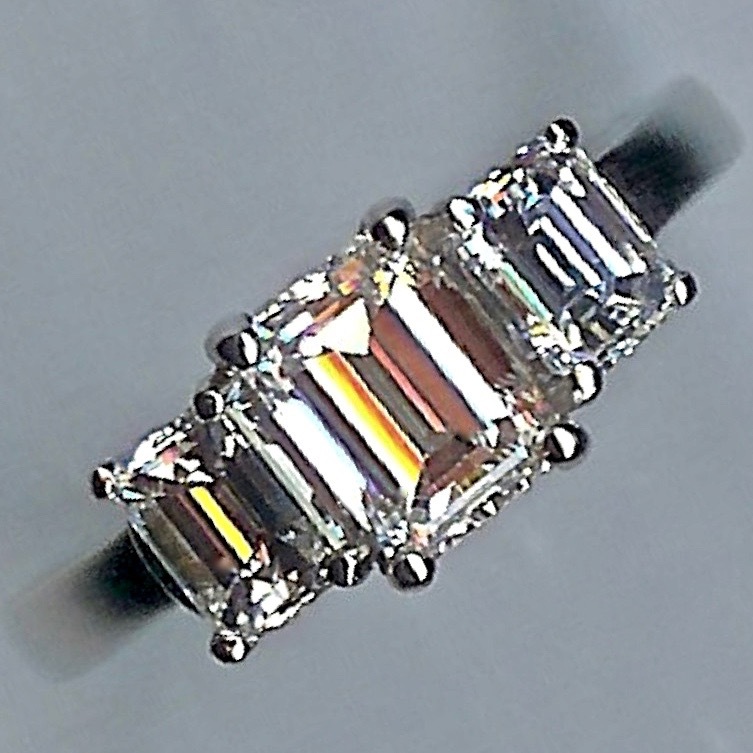 2 x eight-cut diamonds. METAL: Tests as 18ct rose gold.